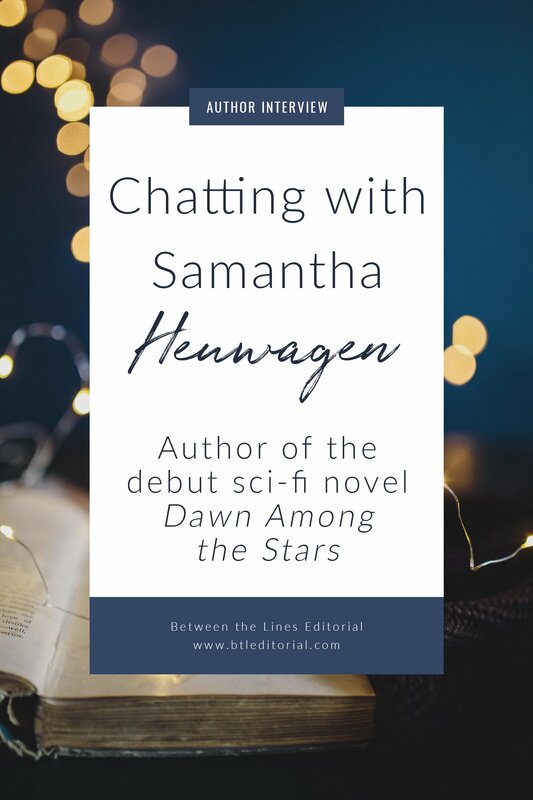 I kicked off a short new series of author interviews earlier in June when I chatted with Samanatha Heuwagen. 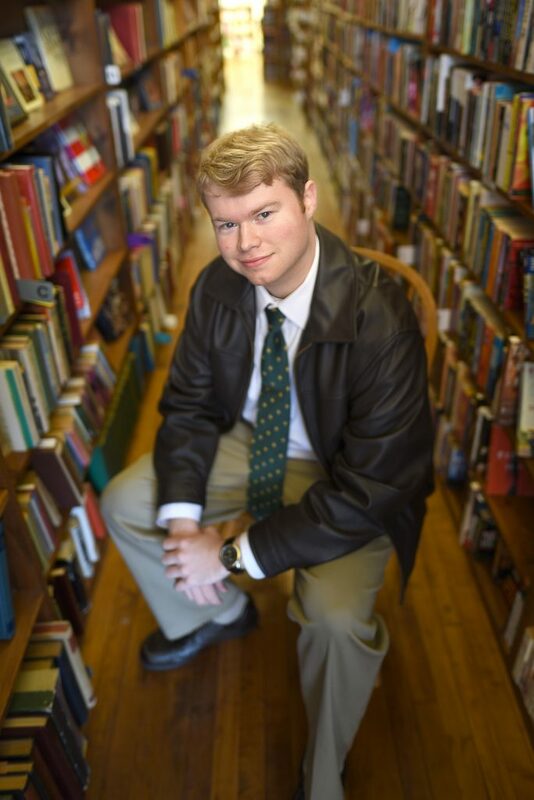 Lat week’s interview was with Katika Schneider, and this week, I’m talking to Michael Thompson, a fantasy author. I met Michael, author of World of the Orb, Winslow Hoffner’s Incredible Encounters, and the Chicken Boy series at RavenCon this past spring. He agreed to answer my questions about writing, publishing, and his process! I’ve been slow to get this posted–lots of travel and life getting in the way, as I mentioned in the last blog post–so a big thank you to Michael both for answering my questions and his patience on getting this live. If you want to connect with Michael online, all of his social links are at the end of this post. Hi everyone! My name’s Michael Thompson. I’m an indie author and illustrator from Northern Virginia. My style of writing centers on dynamic character ensembles plunged into otherworldly situations, with plenty of humor, adventure, and heart. I’ve written a trilogy of children’s chapter books called the Chicken Boy series, my YA portal fantasy novel World of the Orb, and my latest novel is a folkloric fantasy set on the high seas titled, Winslow Hoffner’s Incredible Encounters. 2. What have been some of your biggest challenges as an indie author? Some of the biggest challenges involve how many hats you wear when you go indie. Not only are you the author, but you’re also the publisher, illustrator, graphic designer, publicist, marketer—the list goes on and on. It’s a million jobs in one and you’re constantly evolving to learn new skills, so managing your time wisely and balancing all those roles is key to making a successful product. 3. What made you decide to go the indie route? I usually have a very specific vision of how I want the book to be. Self-publishing is appealing since it offers the most creative control of all the publishing forms. It also just happened to be how I started out. Before I published I had a series of books that were handmade. I started the company so I could produce enough copies to share the story with my family, friends, and everyone who wanted to read it. It felt great. 4. When did you start writing? 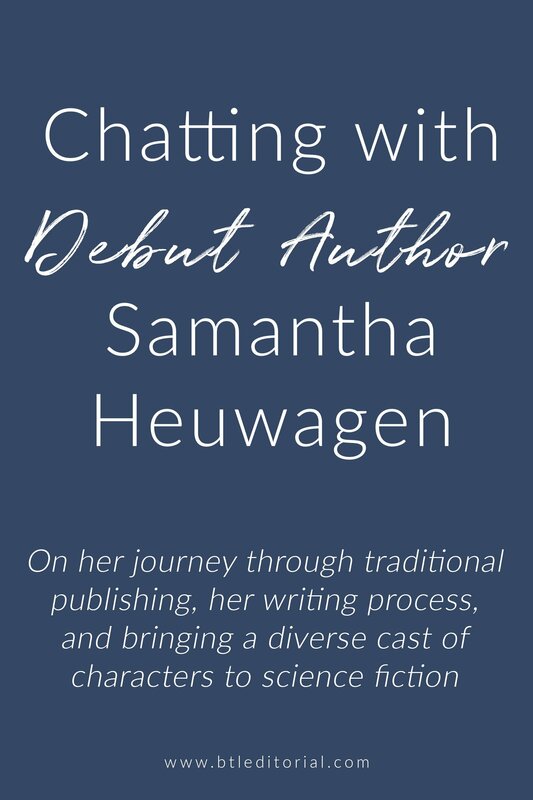 When did you start publishing? I started writing at age nine. The first book I ever wrote was a spiral-bound, illustrated chapter book called Chicken Boy and the Wrath of Dr. Dimwad. My teacher, Mr. Aracich, loved it. He put it in the class library, and shared it with his subsequent classes over the years. I felt so inspired that I kept writing ever since, and at thirteen, I rewrote and published my first book so every student in Mr. Aracich’s current class could have their own copy. 5. Does writing energize or exhaust you? There’s a definite energizing effect when I write. I love the feeling of making something, especially when it’s a story I’ve been thinking about for years. I’ll often find myself standing or pacing when I reach a big battle scene. Who knew writing could be such good exercise? 6. What are common traps for aspiring writers? A major trap writers can run into when they’re starting out is being so self-critical that they abandon ideas they love in favor of what they think others might love. When you have an idea that won’t leave you alone, it’s a signal for you to bring it to life. Don’t worry about the trends. If you write what you love, chances are there’ll be others out there who love the same things as you. I always have new ideas popping up, so there are innumerable journals, folders, and documents stuffed with story concepts, character bios, and scenes for books that are years away. But besides those notes, there are maybe only a few unpublished projects that I’ve actually started chiseling away at to be polished up later, most of which I think will be anthologies. Thankfully, when I’m writing something like a novel I get pretty locked on that story and it’s hard for me to break away until it’s done. Since I’ve been thinking about the stories for years, especially when it comes to the World of the Orb series, when I ultimately sit down to write I have a pretty solid idea of all the major beats. So as a result my writing schedule tends to be based more on hitting milestones. I decide on a deadline, then build a timeframe for finishing each chapter. Coming out of college where deadlines were set in stone, that technique worked pretty well for the first World of the Orb. 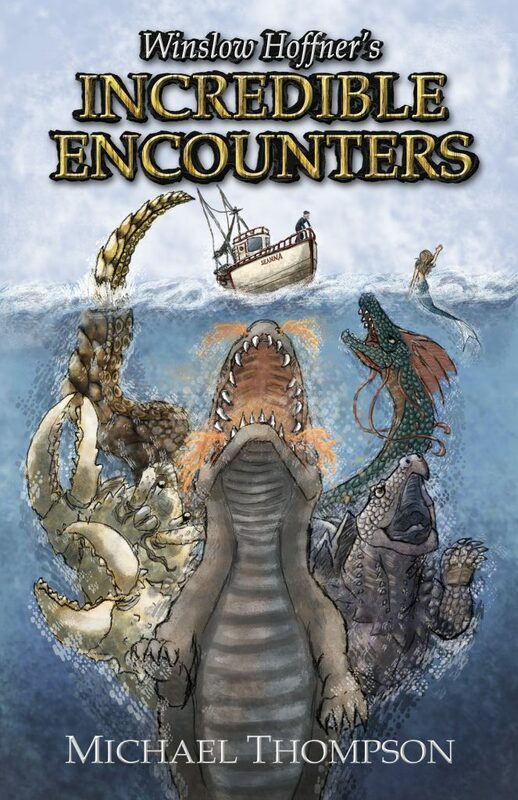 Winslow Hoffner’s Incredible Encounters explores a lot of cool urban legends, so I did a ton of research into cryptozoology, the study of “hidden animals.” Almost every section of the novel references a different cryptid or mythical creature, all of which I read up on in books and articles beforehand. I also wanted the locations and the details therein to be authentic so I actually ended up calling several spots in the U.S. and Canada. You know you’re a writer if, to ensure the accuracy of a single sentence, you call a bunch of Nova Scotian restaurants to chat with their chefs about fish. 10. What’s the most difficult part of the writing process? The first few rounds of editing will always take the most time and brain power. By the time you’re done and ready to send it off to a few fresh eyes, you’ll have the whole book memorized. But, to make the story perfect, it’s 100% worth it. 11. What are you working on now, and when can readers expect a new book from you? 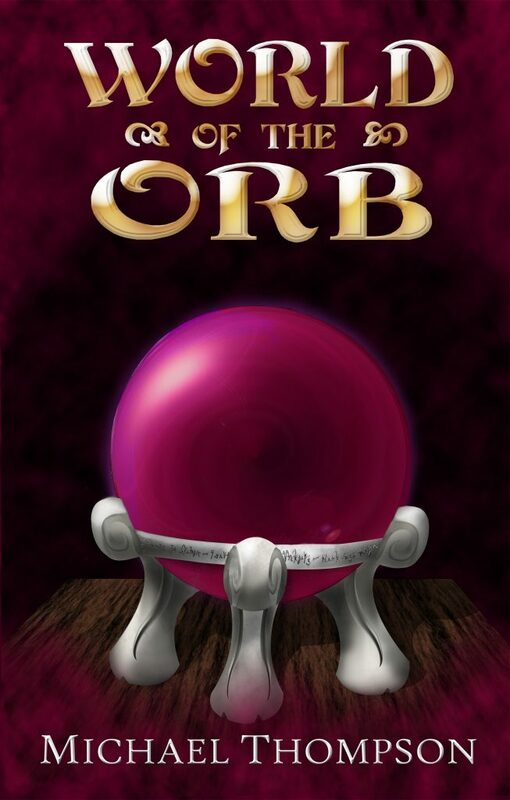 Right now, I’m excited to jump back into the world of my debut novel and write the sequel to World of the Orb. There are a lot of surprises and new adventures in store for those characters. I’m aiming for a 2019 release for World of the Orb 2. A big thanks to Michael for taking time out of his schedule to answer all of my burning questions! It’s always a pleasure to host authors on the blog. Both World of the Orb and Winslow Hoffner’s Incredible Encounters are available on Amazon. If you read World of the Orb or Winslow Hoffner’s Incredible Encounters, don’t forget to leave a review!